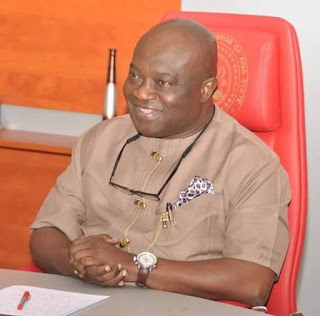 The Judgement of Justice John Okoro-led panel of six justices of the Supreme Court which yesterday upheld the election of Zamfara State Governor Mallam Abdullazeez Yari of the All Progressives Congress no doubts has raised the Hope of Abia State Governor Dr Okezie Ikpeazu. This assertion is coming based on the grounds the Supreme Court gave its judgement on the Appeal by the candidate of the Peoples Democratic Party in Zamfara State Alhaji Mahmud Shinkafi which borders on Over Voting. He added that the appellant ought to have shown that figures, representing over-voting, if removed, would result in victory for the petitioner. “There is no doubt that a petitioner is entitled to contend that an election or return in an election be invalidated by reason of corrupt practice or non-compliance,’’ he said. “Without doubt, over-voting in an election can be in favour of the appellant, the respondent or other contestants who participated and lost at the election but are not parties to the petition. Okoro said: “in this case, the appellants alleged that there was over-voting by 86,045 votes. “Having resolved all the issues adopted for determination of this appeal against the appellants, it is crystal clear that this appeal is devoid of any scintilla of merit and is accordingly dismissed.. It will recalled that Justice Oyebisi Omoleye led five-member Appeal court panel which sat in Owerri had Cancelled the results from Obingwa Osisioma and Isialangwa North LGA’s in Abia State on grounds that there was over-voting and that since the Returning Officer Prof Benjamin Ozumba cancelled the election in those areas it remained cancelled. Okezie Ikpeazu has filled an Appeal of the Judgement at the Supreme Court.